A point of sale system (POS) is a combination of hardware and software that serves as a central hub for streamlining business operations. This retail technology system allows retailers to effortlessly collect and process transactions from customers in a fast, safe, and productive manner. Since their beginning, POS systems have evolved into much more than just a cash register. They have revolutionized the retail experience by providing real-time reports, managing inventory and promotions, and boosting customer experiences. The automation and organization that retail POS software provides gives continual business benefits to retailers all over the world. The two main deployment methods for retail POS software are cloud-based and on-premises. Cloud-based software allows retailers to access their platform anytime and anywhere by logging in from an internet connected device. Also known as Software-as-a-Service (SaaS), these solutions save and store data on remote servers. Cloud POS system providers update and maintain the software remotely, which eliminates the need to have security patches and other updates managed by in-house IT. Comparatively, POS software deployed on on-premises servers is a more traditional model. On-premises systems use local servers to store and save information and are often referred to as “legacy” POS systems. 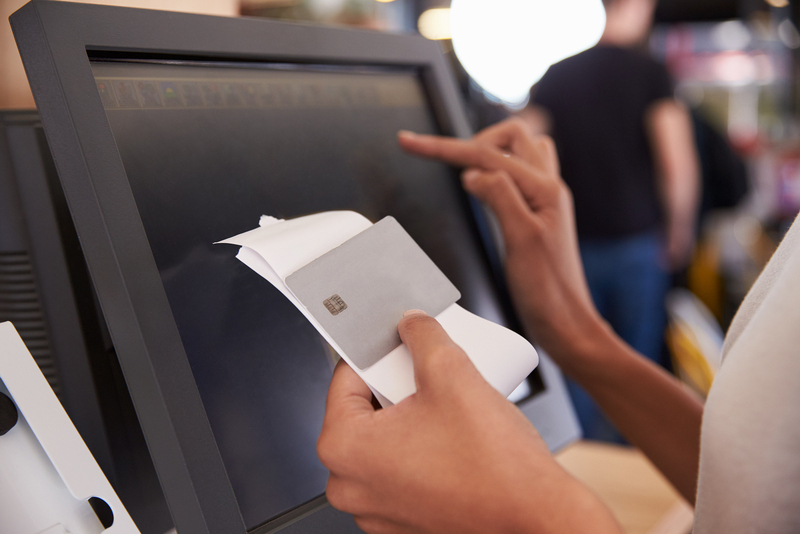 Although the retailer is responsible for updating and maintaining the software manually, traditional POS systems come with ample security benefits and zero downtime, making them a top choice for many retailers. There’s no right or wrong choice when it comes to retail POS software, it all depends on what your individual retail business is looking for. Point of sale software shares a common purpose: to collect and process sales. However, POS software can, and should, do so much more than that. One significant value that a POS system can bring to your retail store is streamlining business operations. More time saved on day-to-day tasks results in more profits for your business. In addition, retail POS software also boosts productivity and efficiency of the back office by increasing accuracy. Point of sale systems are designed strategically to reduce human error and track inventory and sales with complete precision. With all of this data, your POS can also provide detailed sales reporting and data analytics at the click of a button. This gives retail managers the visibility and control they need for business decision making. A growing benefit of POS retail technology is its ability to improve the overall customer experience. Line busting, loyalty programs, and targeted promotions are just a few ways that your POS system can factor into greater customer satisfaction. In general, the right point of sale system will turn your business into a more efficient operation, maximizing your return on investment. When choosing a POS system, it’s important to look beyond initial price and compare total cost of ownership. Also referred to as TCO, total cost of ownership is the difference between purchase price and long-term cost. It is critical to analyze the TCO before making a decision, because what may seem like a great deal on the outside may wind up costing you more in the long run. For example, there are free POS options out there, but when you look closely, you’ll realize that they often contain hidden costs. You’ll want to evaluate the software and hardware costs, processing fees, and recurring monthly fees to find the POS system that fits in your budget. As you evaluate POS systems, you don’t want to overpay for retail POS software that has features you will never use. To find the right retail technology system at the right price for you, begin your search by defining your specific business needs. Since every retailer is different, you want to make sure your goals are clear so that you know what to look for in a new system. Does your in-store POS system need to integrate with an e-commerce platform? Do your sales associates use mobile POS? The specific capabilities you need your POS system to provide will help you narrow down your search. A key feature to look for in any retail POS software is whether the provider backs the system with customer service and support. A POS is an important business investment, and to get the greatest value from it, you will need training and ongoing technical support. Make sure that the retail technology system you choose comes with technical and customer service support for peace of mind. If you are using integrated debit/credit card payments, ongoing support and updates are required to be compliant with payment industry standards. This is critical to reduce your liability should a data breach occur. Inventory is the backbone of a retail business- without it, you’d have nothing to sell to your customers. However, too much of it means less capital and excess products, and not enough of it means unhappy customers and lost sales opportunities. To find your retail store’s inventory sweet spot, you’ll need the help of an inventory management system. It’s critical for retailers to plan inventory purchases so that you’re prepared for consumers’ wants, needs, and trends throughout the year. The right retail POS software will include built in modules to help you make data-based purchasing decisions, such as purchasing and receiving and scientific purchasing. Additionally, businesses need retail POS software that will optimize and manage their inventory no matter how many store locations or channels that they have. Employee management can get complicated and stressful without the right retail technology tools. When deciding on a retail POS software system, choose one that includes labor management functionality. For maximum efficiency, you should be able to manage and track all employee data from one centralized hub. This will eliminate the need for manual, paper forms of communication, freeing up both time and expenses. Perhaps most important, a labor management system will have multiple levels of security authorization and automatic password renewal prompts, keeping your staff’s data safe and secure both short- and long-term. Do you know your average profit margin for each of your retail locations? Or when, and how often, your best customers shop? The right POS software should include retail analytic software to help you answer those questions and more, so that you can make more informed business decisions. Software features, like Auto-Star’s Executive Dashboard, will give you insight on your business’ sales and trends, right down to the minute. You’ll be able to set business goals and track the progress against those numbers, as well as produce graphs and charts that highlight key performance indicators. All of this is critical to remaining in control and prepared for the future of your business. Both you and your customers benefit from a quick and efficient checkout process, which is why it’s so important to implement a retail POS software solution that will streamline this process for you. Point of sale security is vital for today’s retailers, especially with increased industry regulations and threats of data breaches. Because of this, retail owners need to stay in control of their business data to maintain maximum security. Knowing what data is collected, what is confidential, and how it is transmitted is crucial to preventing a detrimental data breach. Security is a top priority at Auto-Star, which is why our software solutions are validated to meet industry standards and our technology offers biometrics. Ensuring that your business has a unified POS and back office management system is essential in today’s retail landscape. Having all data centralized into one system opposed to siloed in multiple systems allows retailers to maintain greater confidence and visibility into their data. It also saves the time you’d have to spend exporting and transferring data from one system to another. If you have multiple locations, a unified POS system will allow you to access any location’s collective data with just a click. This allows for more efficient inventory management and quick, seamless transactions both online and in-store. As you plan for your business’s future, you want to ensure you’re investing in retail POS software that will grow with you. For example, you should be looking for options that have the capacity for more terminals, store locations, and employees than you currently have, as well as the option to add additional features and functions to keep up with industry trends. Plan for growth in your retail outlet by choosing a POS system that contains the support and functionality that will solve both your short- and long-term business needs. Mobile POS (mPOS) is a fast growing trend for retailers looking to upgrade customer experiences. This retail technology allows employees to use smartphones or tablets to price check, examine inventory levels, and process customer transactions anywhere in the store. Kiosks are also gaining popularity in the industry, enabling customer self-service throughout the store. Customers are able to do things such as check on prices, review their loyalty membership status, and place orders online. The implementation of mPOS and kiosks has resulted in faster checkout processes, more engaged customers, and higher average sales. Your customers are what keeps your business afloat, so proper customer management is key to a successful retail business. The proper retail POS software will collect data on purchases and analyze trends in shopper behavior. This information is crucial to execute targeted promotions and messages to your customers, which will ultimately keep them coming back again and again. If you’re looking to strengthen your relationship with your current customers, as well as promote your business to new customers, your retail business should be offering gift cards to your shoppers. Your POS solution can include customized gift card programs that will enhance your brand and grow your revenue. Gift cards not only encourage repeat business, but they also attract new customers and generate higher average sales per transaction. One of the most effective ways to boost your customer loyalty and retention is to offer an innovative points-based loyalty program. Use retail technology to reward repeat customers with discounts, bonus points, gift cards, and more. Loyalty programs built into your retail POS software also allow you to reap the benefits of data collection and strategic planning. Your POS can store all customer data, loyalty points, and rewards so that each customer receives a personalized experience and reward for their business. When you are ready to upgrade to a new retail technology system, make sure you’re choosing a provider who has had proven success in your vertical. Look for a retail POS software provider like Auto-Star, who knows your industry and can provide the robust features, tools, and support you need for long-term success. If you’re looking to add POS software as a strategic part of your business, make sure you’re partnering with a company that delivers superior, innovative, and customizable solutions that will fit your clients’ needs. Auto-Star has been serving retail industries since 1982, specifically to grocery, pharmacy, and natural health markets. We know how important it is to keep your finger on the pulse of your retail business, which is why be make it our mission to collect, organize, and automate retailers’ operational information. Grow your business and give your customers the retail technology solutions they need by partnering with Auto-Star.